WordPress is a popular CMS and blogging platform. There are number of famous brands of every industry who are using WordPress for their websites. Today we are going to showcase some famous celebrity sites using WordPress. Gabriel Iglesias is an American comedian celebrity. His website is designed on the top of WordPress. Layout of his WordPress powered website is very cool. Social sharing buttons, header slider and every other part of website has perfect harmony. Gabriel Iglesias is a comedy genius. Maria Sharapova is a famous Russian tennis player. Here website is based on WordPress. Design of Maria Sharapova website is professional and clean with modern off-canvas menu. Here website is serving four million plus fans. 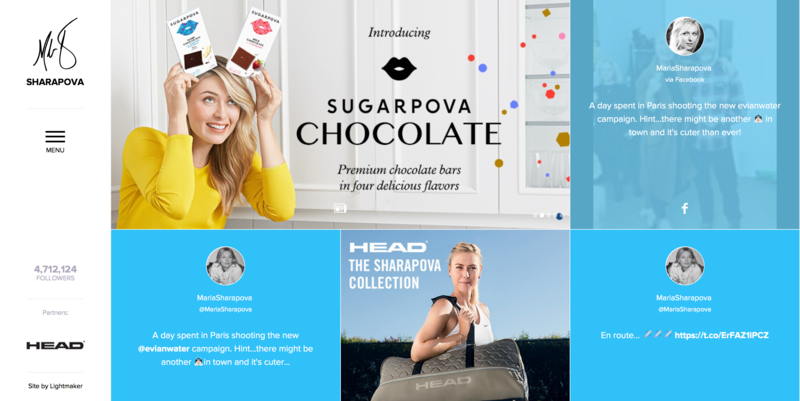 You can browse the news, photos and online store on the Maria Sharapova website. Serena Williams is an American tennis player. She is very professional in her game. She is ranked world number one on six different occasions. Her website is powered by WordPress having beautiful and inspiring design. Slider, custom and social menus, shop and tweet feed has perfect placement. Layout of blog is very unique.